Comfort of the fabric/material: Alpaca is a natural fiber, free from lanolin and naturally hypoallergenic. It is hollow and wonderfully thermal. It does not absorb moisture, rather it wicks it away. Budget: High performance socks don’t come cheap. However, wearing the right socks makes the price seem not as important in the long run. Socks made from other materials may be less expensive, but they soak up foot moisture and hold it in, meaning your feet feel colder and are more prone to blisters. Design: It’s nice to have different kinds of socks to try out to see what fits your foot best according to your needs. Just remember more alpaca in a pair of socks doesn’t mean they are a higher quality, 100% Pure Alpaca socks would wear through, shrink, beard and be a waste of money. Function: The quality of Alpaca Socks varies greatly depending on the end use. Inexperienced makers don't take this into consideration. 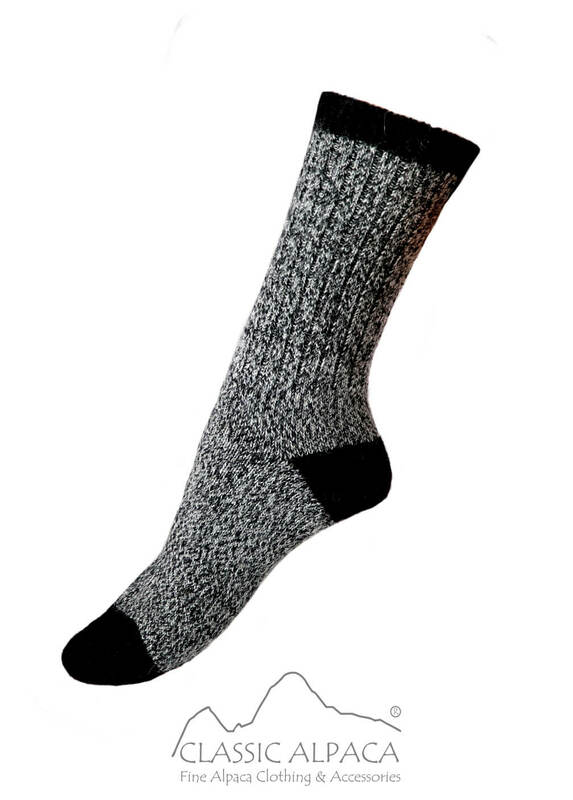 Using grades 1 or 2 Alpaca in say a Hiking Sock would cause it to pill and wear through, it’s just too soft; yet using grade 4 or 5 would cause foot irritation, while using the same alpaca grade in a dress sock would make it itchy because of the weight. We research and choose the right alpaca for the proper use. Brand trust: Look for a reliable wholesaler who can guarantee authenticity on all its products. You will have some peace of mind that you are getting genuine quality Wholesale Alpaca Socks and that no animal is killed to collect its fleece. These tips will help you make the best decision. Remember proper foot care, and wearing the right socks is essential because if you treat your feet right, they will treat you in kind!